A total team of 55 innovative engineers and investment of 65 Cr has been devoted to the overall development of Mahindra’s highly ambitious scooter the Gusto. Gusto, which is derived from the word Gust, means a wave of change and Mahindra believes it will surely change the point of view of their prospect customers. 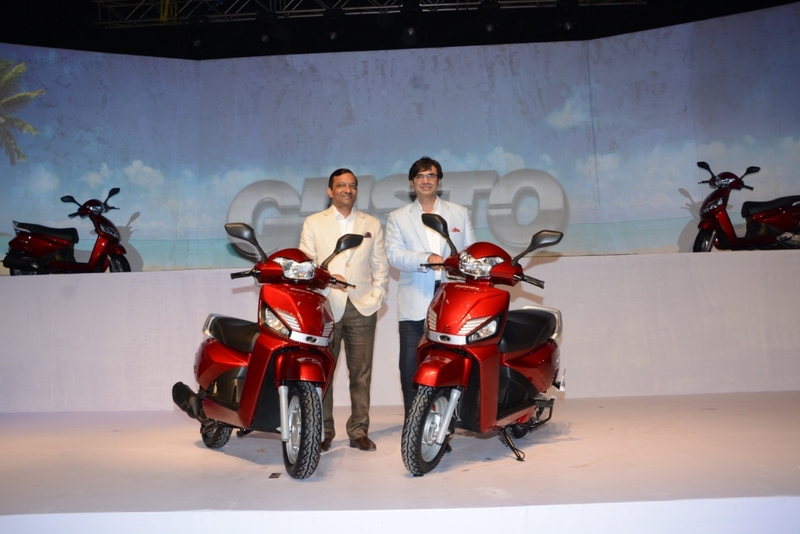 Build on Underbone feel type tubular frame, new Mahindra scooter Gusto is designed in Italy. Gusto will be available in Two variants Vx and Dx. Powered by 109.6 cc all aluminum, 4-stroke, Air cooled M-tech motor which churns out 8.0 bhp @7500 RPM and torque of 9Nm @ 5500 rpm. New M-tech engine delivers 63 km/l (ARAI certified) best in class mileage. An innovative step in the designing, Mahindra Gusto comes with height adjustable seat. Scooter market is growing rapidly, while designing an unisex scooter equipped with adjustable seat is an innovative step from Mahindra. Besides adjusting seat, remote flip key is a perfect blend of style and substance, remote key is similar that on Centuro, with a hit on flip key one can guide the vehicle in crowded places by blinking and beeping. A quick storage on meter case is patented design for easy access for storage. Kick is designed in such way that one can actually ignite the vehicle sitting on it, design may remind u some of old scooter’s of Kinetic. Gusto is the first scooter to come with 12” wheels; bigger wheel also results in better ground clearance, which is 165mm (best in class) as well as a high breaking ratio for better stopping power. Mahindra believes their product will surely prove to be an inspirational lifestyle image, a complete family package. Height adjustable seat, remote flip key and find me lamps are available only in the Gusto Vx variant. Gusto DX variant is priced at 43000/- whereas VX variant is priced at 47000/- . These initial pricing will be valid till festive seasons only.